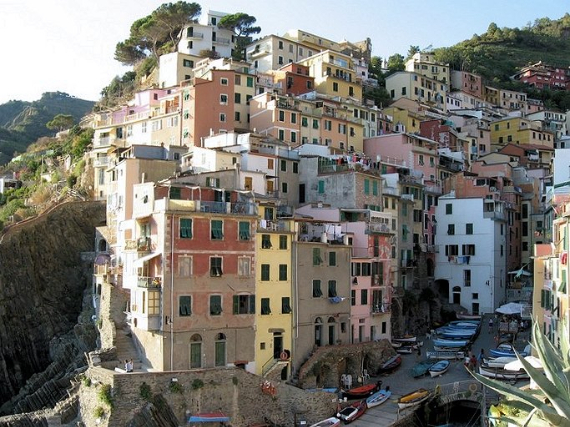 Cities and villages built on cliffs represent many things … a striking contrast between the natural world and engineering; the challenge and overcoming it. 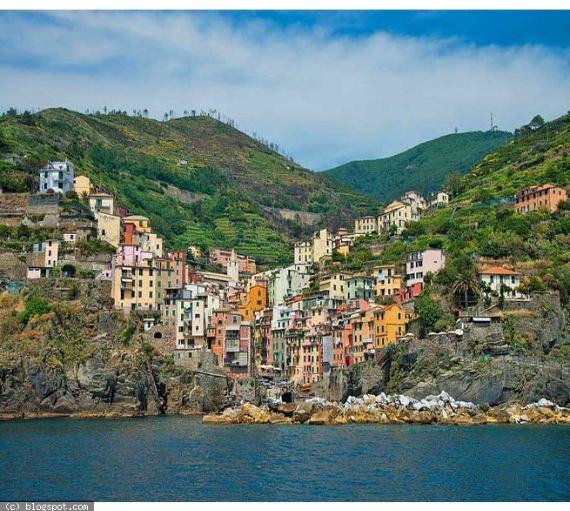 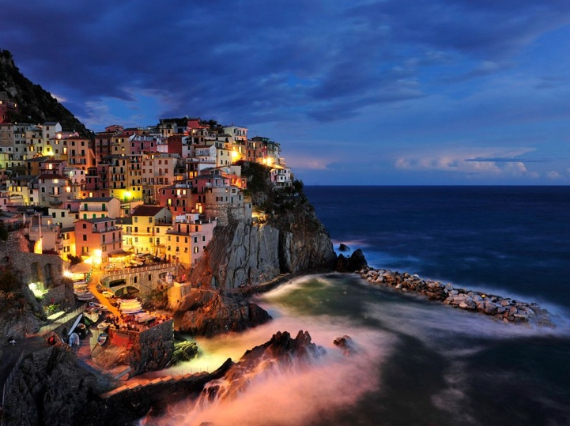 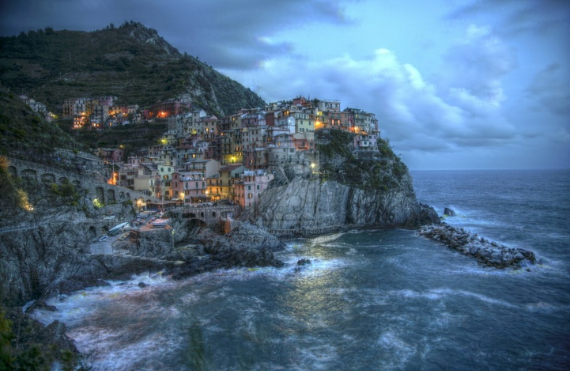 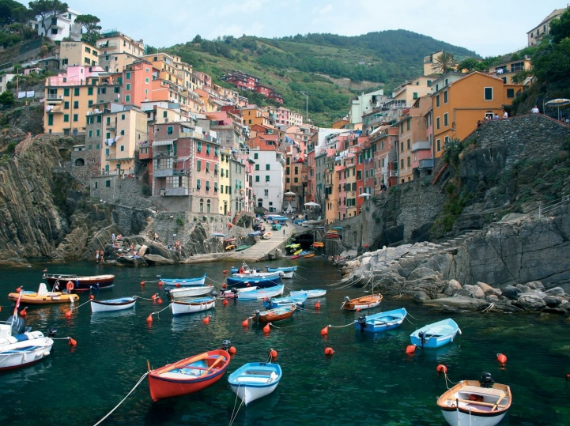 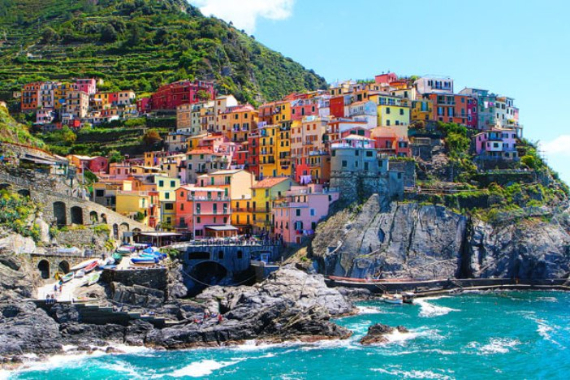 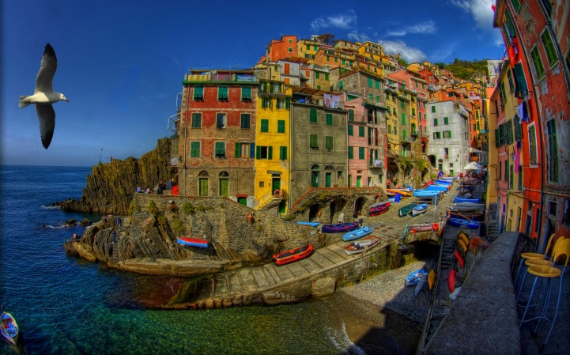 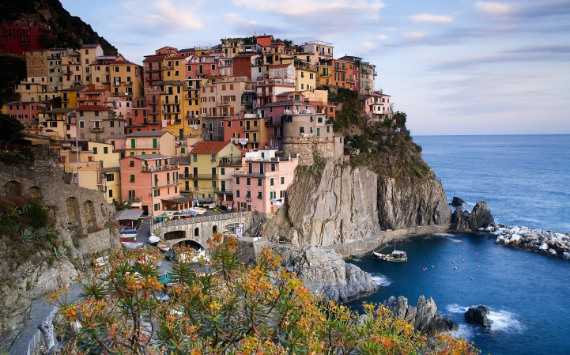 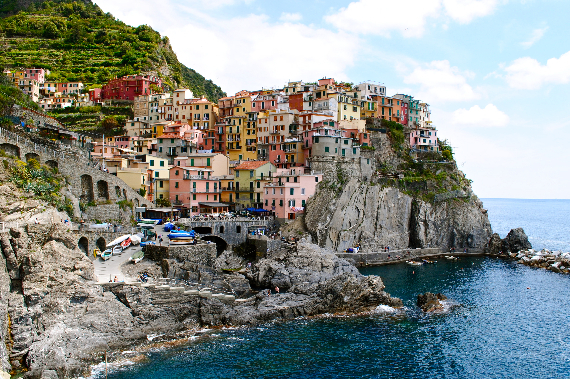 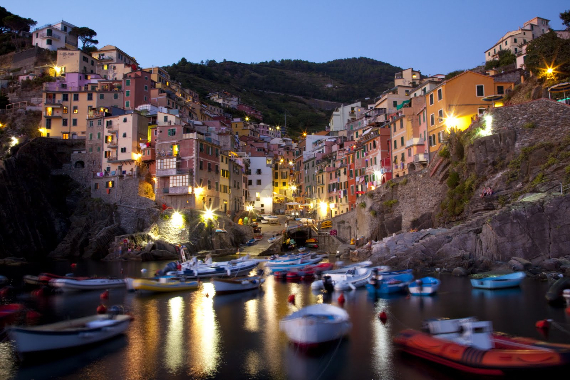 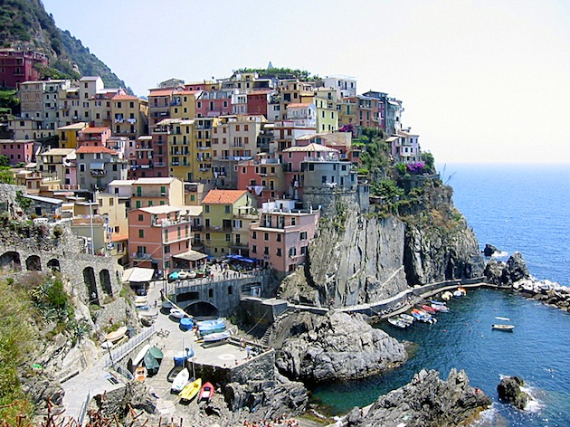 Riomaggiore is one of those incredible cliff-side villages. 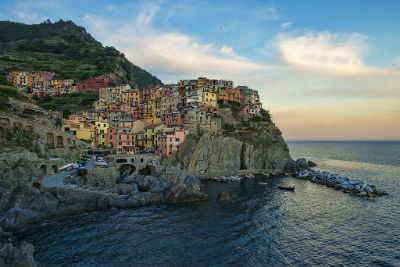 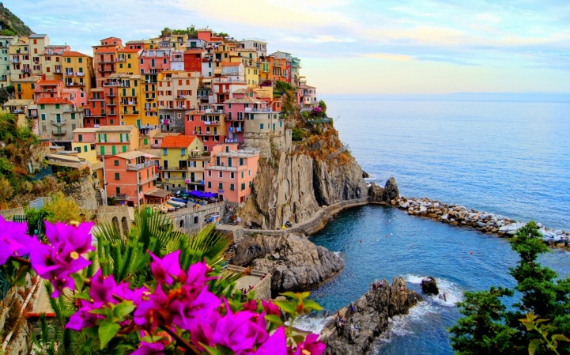 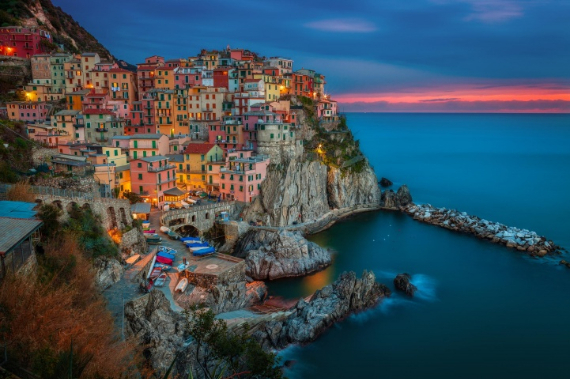 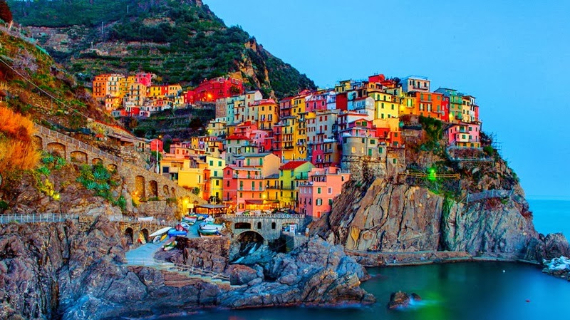 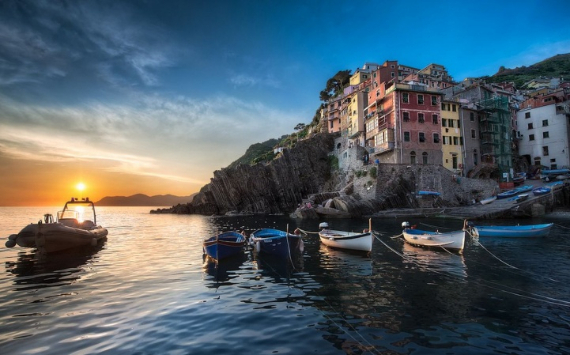 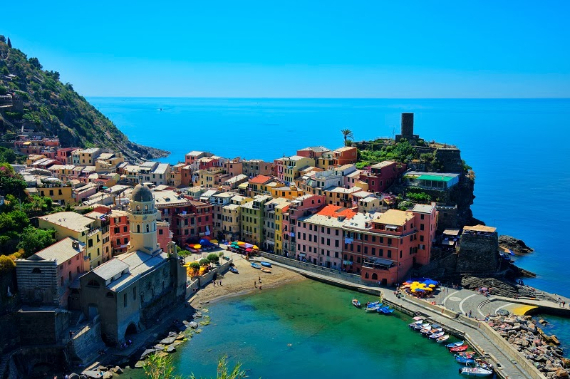 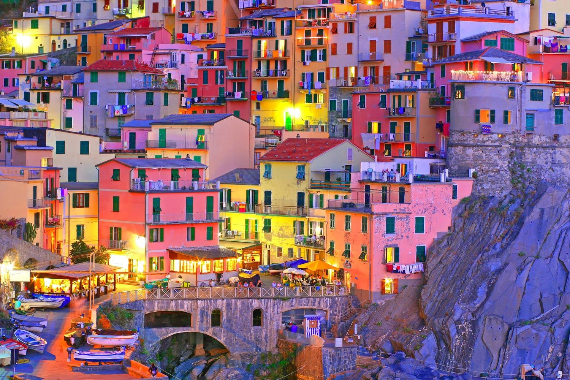 Riomaggiore is a rugged portion of coast on the Italian Riviera situated in a small valley in the Liguria region the southernmost of the Cinque Terre villages. 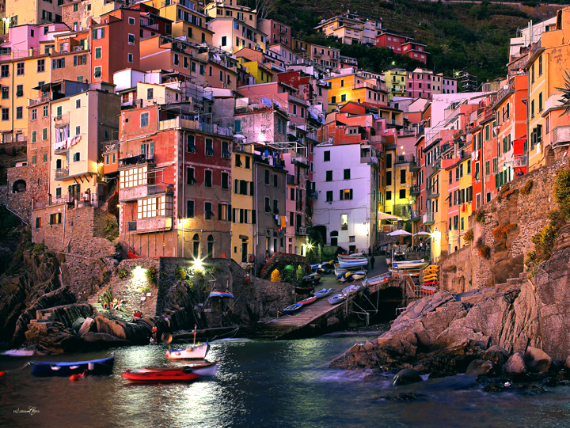 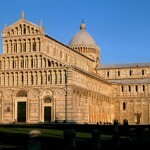 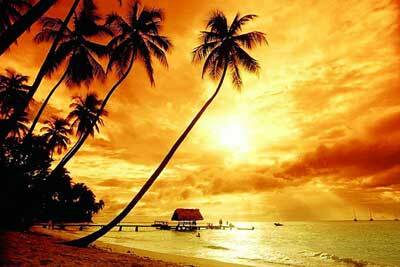 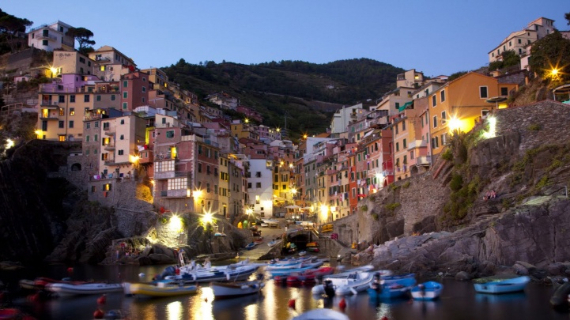 It has a shoreline on the Mediterranean’s Gulf of Genoa with a narrow beach and a wharf framed by tower houses. 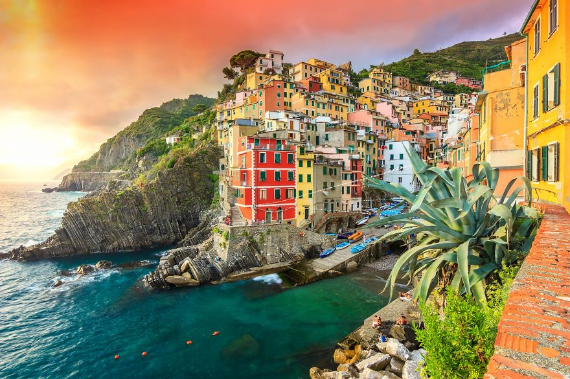 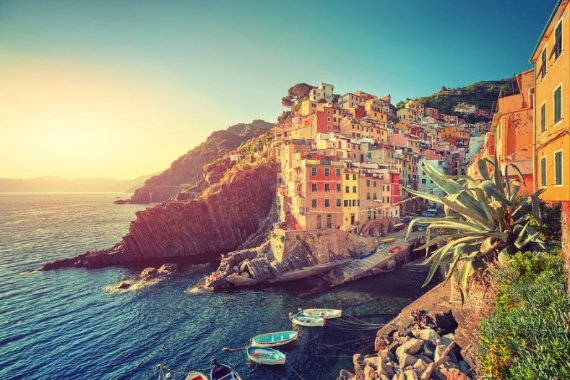 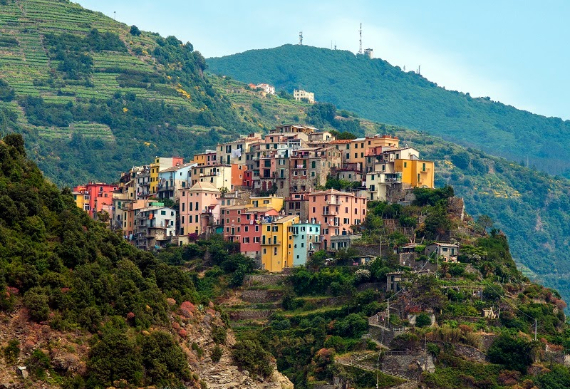 Time has not touched this cliff-side village or its four quaint seaside towns of Cinque Terre they are known for their historic characters. 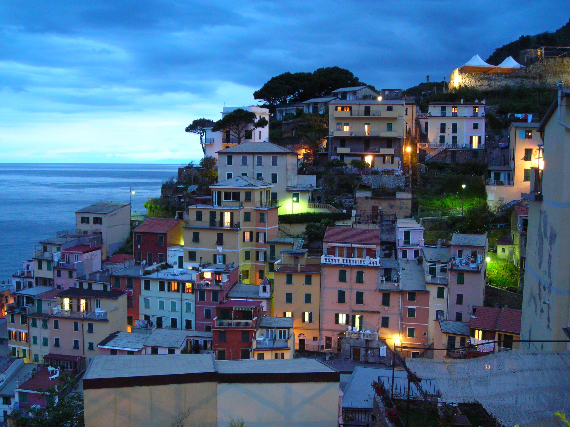 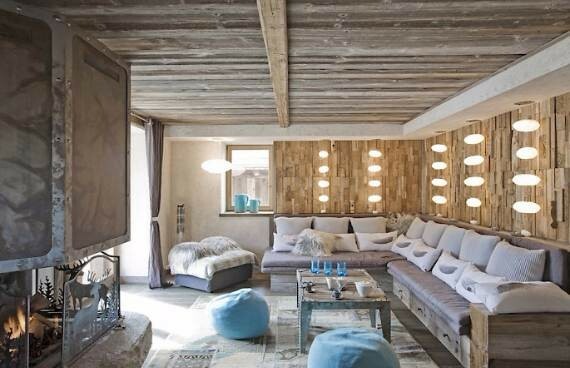 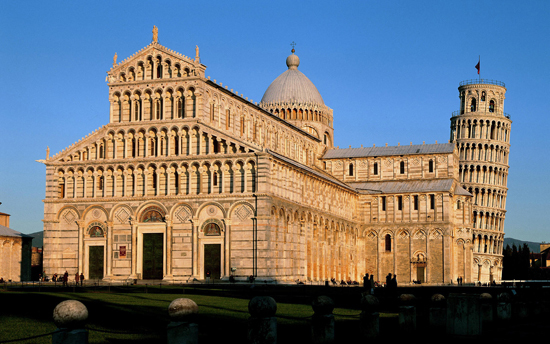 They all are connected by paths known as Sentiero Azzurro or the light blue trail. 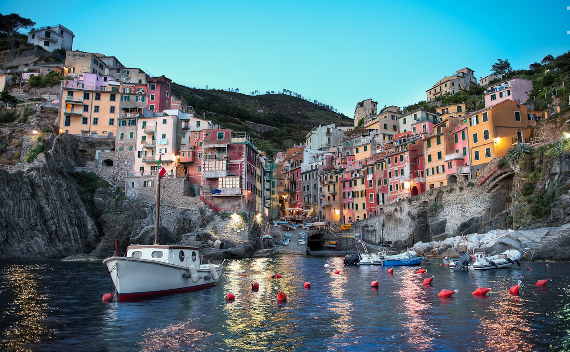 When you have a shoot of Riomaggiore from the sea, you see the brightly painted houses dating from the early thirteenth century, stacked haphazardly on top of each other climbing the hills…you see Riomaggiore glowing like a jewel across the harbor looking out across the water. 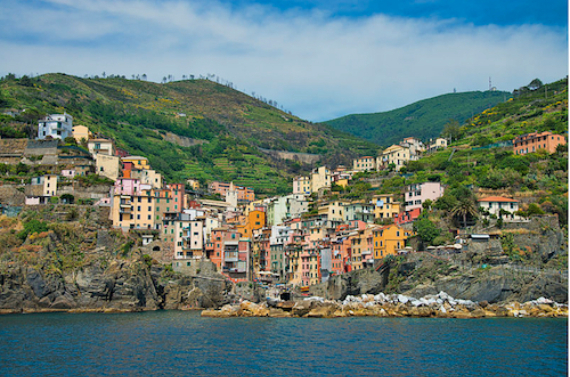 Wander through Riomaggiore paths, bask on the beach, and take a side trip to see the magnificent marble quarries at Carrara. 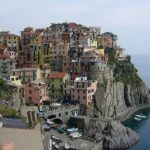 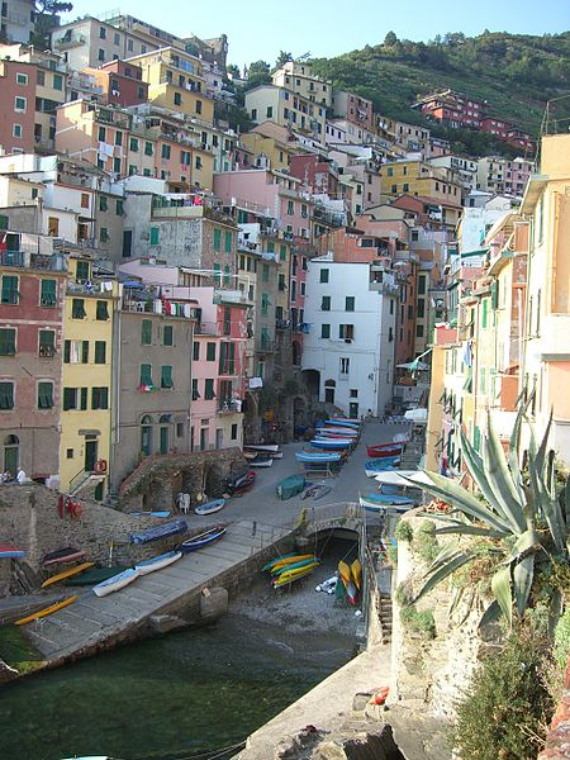 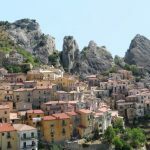 Riomaggiore has many hotels, apartments, B&B, for overnight stays and numerous restaurants, cafés and bars than the other villages.